ONE-25th: SO... it has finally arrived!!! it's about Jie & possibly more. SO... it has finally arrived!!! 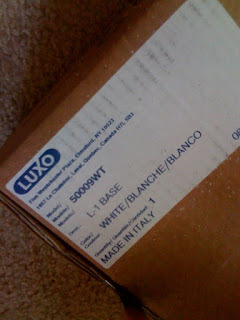 So... After the endless waiting...about 3 days:目, my own LUXO junior was finally delivered by a brown UPS truck! & The outcome? This master piece is just purely classic & amazing. 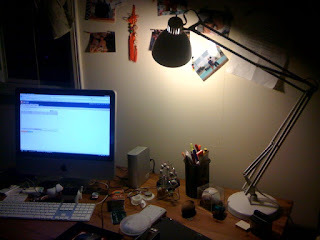 The light itself IS a bit bigger than I was expecting, but it still balances off my working area perfectly. BTW, District 9 is the best 09 summer movie I've seen so far!!! Completed setup of the desk. Solid base. Italian made & great detailed. 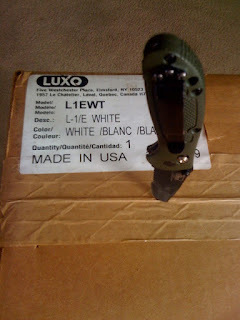 Here comes the LUXO L1!! DO YOUR BEST, AND GOD WILL PLAN THE REST.